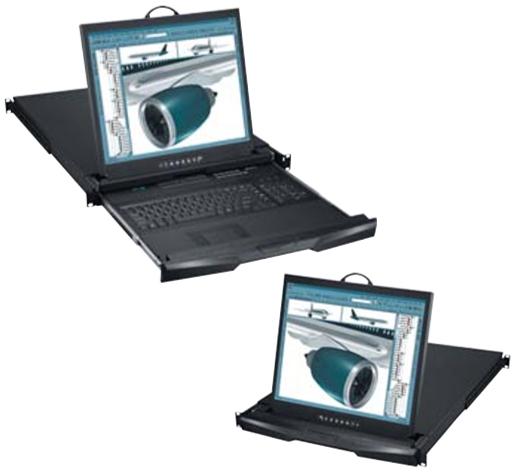 The RKP9 is a 1U 19" LCD keyboard drawer with true optical mouse. Single Console 1.73 x 17.4 x 27.6 in. Console w/ KVM 1.73 x 17.4 x 27.6 in. Console w/ KVM 5.5 x 23.4 x 35.8 in. LCD panel size ( diagonal ) 19"